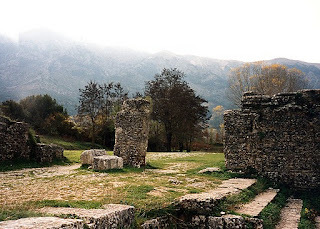 Dodona is a religious sanctuary associated with the Dorian Greeks, situated in a valley in the northern Greek province of Epirus, south of Joannina. 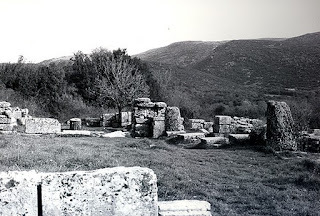 As is the case in many other Greek religious sites, there is a superimposition of cults in this sanctuary. 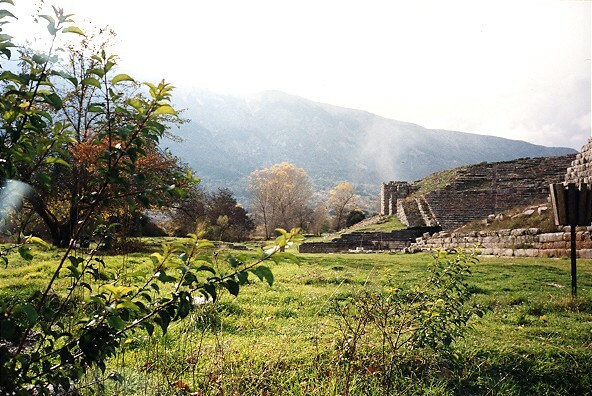 Originally it was the site of an oracle devoted to a Mother Goddess, Rhea or Gaia, but called Dione in Epirus. 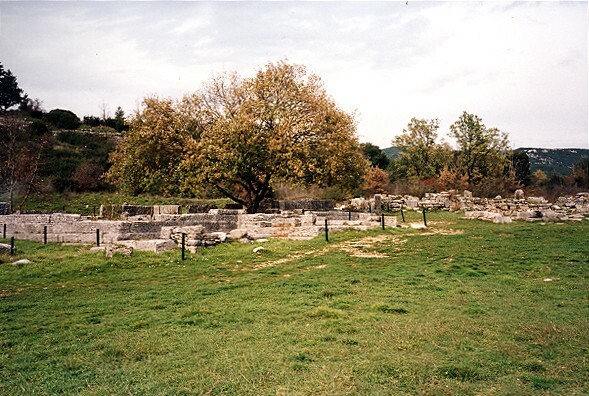 Eventually, no doubt after the coming of the Dorians, it became a shrine to Zeus, here called Zeus Naios (Zeus of the Spring of Naiads). 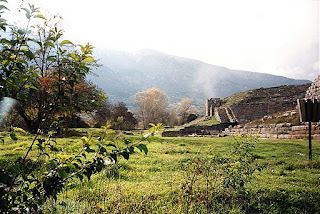 At this sanctuary, or temenos, the ancient Greeks built a temple to Zeus-Naios, a Stadion, a great theatre and various smaller temples. 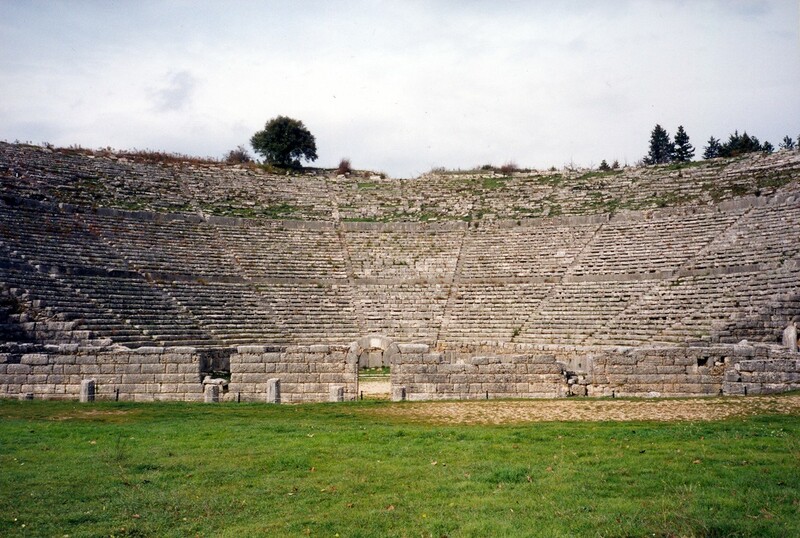 The great theatre of Pyrrhus, built in the third century BCE, has been reconstructed and the remains of the temple of Zeus-Naios and other ruins of the ancient temenos, or sacred site, are visible. Even some of the oaks of the sacred grove are standing. 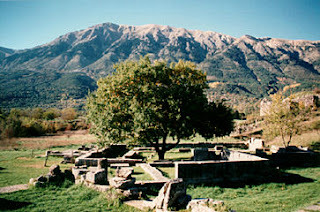 Dodona is located just south-west of the city of Ioannina, in the valley of Mount Tomaros in Epirus, Northern Greece. Until 650 BCE, Dodona was a religious and oracular centre mainly for northern tribes, which were variously known as Pelasgians, Thesprotians and Moulossians. It is only after 650 BCE that it became significant to the southern tribes, most likely because of its conquest by the Dorians who descended from the Balkans into Greece through the valleys of Epirus. 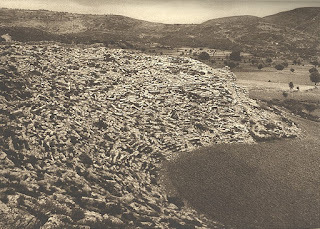 The site was identified in 1873 by Constantinos Karapanos, who discovered a number of bronze objects now in the Archaeological Museum in Athens. More scientific excavations have been undertaken by the Greek Archaelogical Service since 1952, and there has been some restoration, particularly of the Theater of Pyrrhus. The Great Theater at Dodona. The Hellenistic Revival: The Theater of Pyrrhus. The Great Theater of Pyrrhus today. In c. 290 BCE, King Pyrrhus of Epirus (“Another such victory over the Romans and we’re undone!”), made Dodona the religious capital of his domain and beautified it by implementing a series of fantastic construction projects, including the great Temple of Zeus and the great theater, designed to enact festivals of athletic and musical competition. 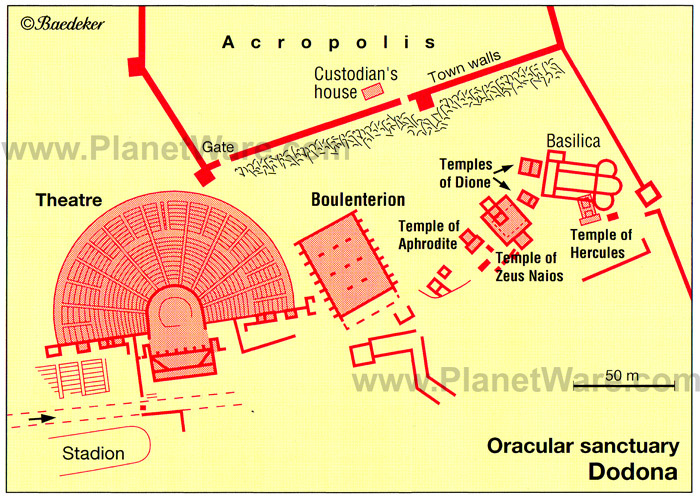 A wall was built around the oracle itself and the holy tree, as well as temples to Herakles and Dione. The temple and theater were burned in 219 BCE by the invading Aetolians and the site abandoned. 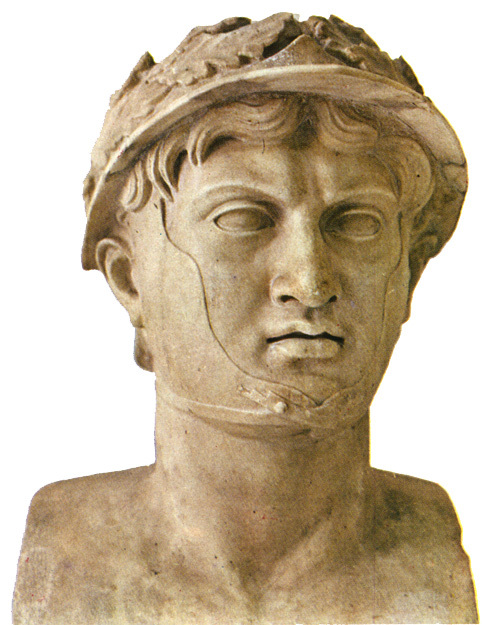 But there was reconstruction in the late 200’s BCE by King Philip V of Macedonia. 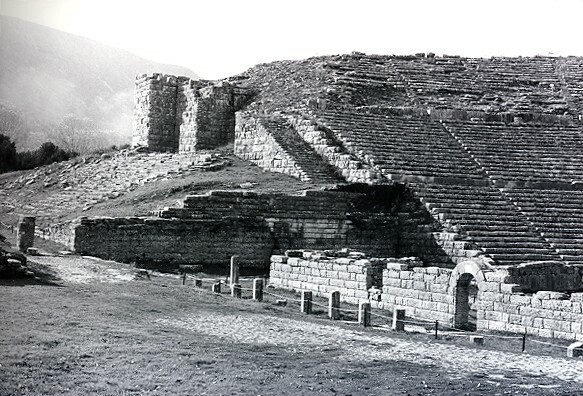 Destroyed by the Romans under Aemilius Paulus once again, the sanctuary at Dodona was later rebuilt by the Emperor Augustus in 31 BCE, after his victory over Anthony and Cleopatra at Actium that same year, but he turned the theater into an arena. In 362 A.D., the Emperor Julian consulted the oracle prior to his military adventure against the Persians, where he lost his life. 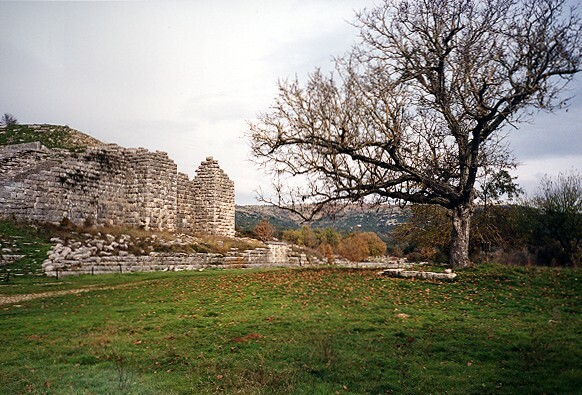 When the Christian Emperor Theodosius closed all pagan temples in 391-92 A.D., it is said that he cut down one of the last remaining oaks. 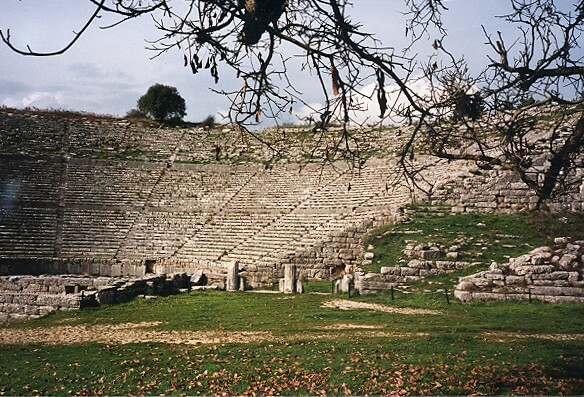 The theater of Pyrrhus was unearthed in the 1950’s and restored in 1960-63. 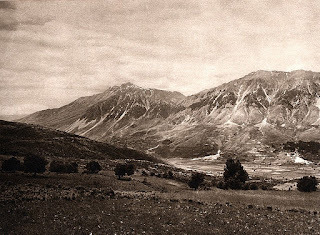 Aristotle believed that the region around Dodona was the place where the Hellenes originated (Meteorologica at 1.14), but this is to take the Dorians as the original Hellenes, which is dubious. The custom of interpreting the rustling of the leaves of the oak or beech trees probably antedates the Dorian invasion, but the Dorian priesthood became famous thereafter in its competition with the Delphic oracle. 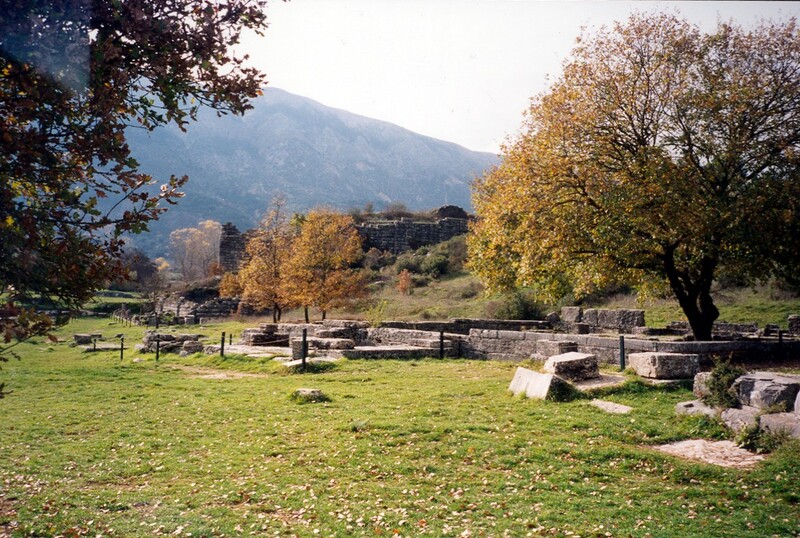 At Dodona, Zeus was worshipped as "Zeus Naios" or "Naos" (god of the spring, or of the Naiads — there was a spring below the oak in the temenos or sanctuary. Originally an oracle of the Mother Goddess, the oracle was shared by Dione (whose name, like "Zeus," simply means "deity") and Zeus. 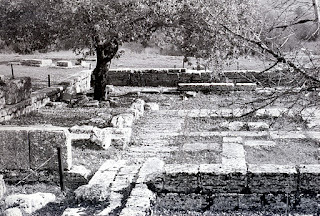 Many dedicatory inscriptions recovered from the site mention both "Dione" and "Zeus Naios". 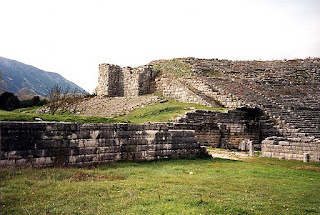 In the Iliad, Achilles prays to "High Zeus, Lord of Dodona, Pelasgian.” There is no mention of the temple or the theater in Homer, but there is mention of the high priests of the sanctuary, the Selloi. (Richard Lattimore translation, 16: 233-235). 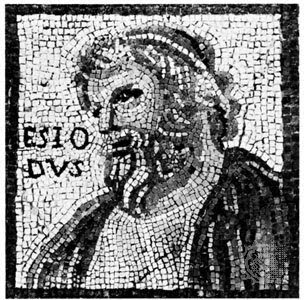 The oracle is also mentioned in Odysseus's fictive yarn about himself told to the swineherd Eumaeus: (Odyssey, 14.327-14.328). 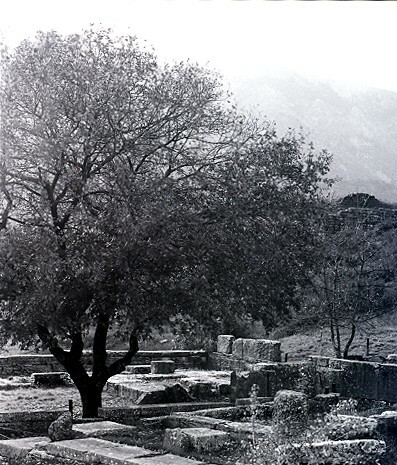 Odysseus, he tells Eumaeus, has been seen among the Thesprotians, having gone to inquire of the oracle at Dodona whether he should return to Ithaca openly or in secret (as the disguised Odysseus is actually doing). 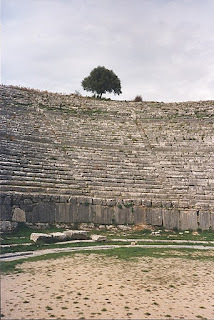 Odysseus later repeats the same tale to Penelope, who may not yet have seen through his disguise. (Homer. Odyssey, 19: 299-303) His words reveal a familiarity with Dodona, a realization of its importance, and an understanding that it was normal to consult Zeus there. "There is a land Hellopia with much glebe and rich meadows, and rich in flocks and shambling kine. 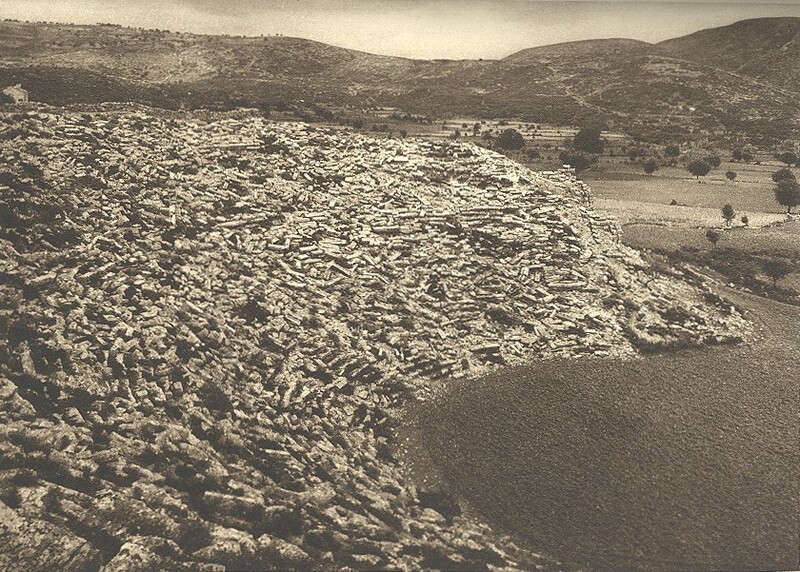 There dwell men who have many sheep and many oxen, and they are in number past telling, tribes of mortal men. 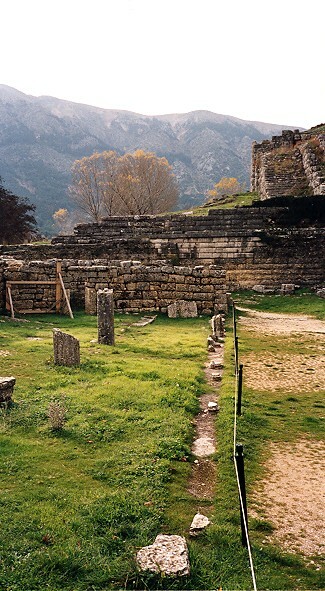 And there upon its border is built a city, Dodona; and Zeus loved it and appointed it to be his oracle, reverenced by men . 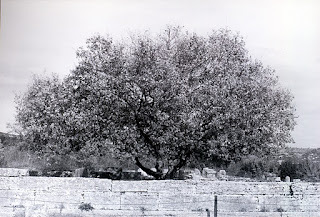 . . And they [the doves] lived in the hollow of an oak (phêgou). From them men of earth carry away all kinds of prophecy,--whosoever fares to that spot and questions the deathless god, and comes bringing gifts with good omens." 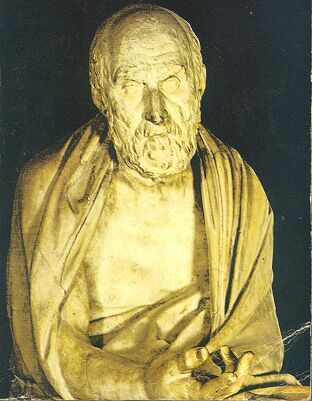 Herodotus (Histories 2:54–57) was told by priests at Egyptian Thebes in the 5th century BCE "that two priestesses had been carried away from Thebes by the Phoenicians; one, they said they had heard was taken away and sold in Libya, the other in Hellas; these women, they said, were the first founders of places of divination in the aforesaid countries." "...that two black doves had come flying from Thebes in Egypt, one to Libya and one to Dodona; the latter settled on an oak tree, and there uttered human speech, declaring that a place of divination from Zeus must be made there; the people of Dodona understood that the message was divine, and therefore established the oracular shrine. The dove which came to Libya told the Libyans (they say) to make an oracle of Ammon; this also is sacred to Zeus. 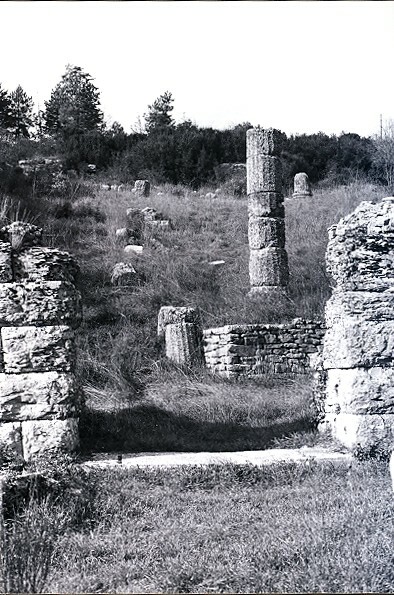 Such was the story told by the Dodonaean priestesses, the eldest of whom was Promeneia and the next Timarete and the youngest Nicandra; and the rest of the servants of the temple at Dodona similarly held it true." "But my own belief about it is this. If the Phoenicians did in fact carry away the sacred women and sell one in Libya and one in Hellas, then, in my opinion, the place where this woman was sold was in what is now Hellas, but was formerly called Pelasgia, and later Thesprotia; and then, being a slave there, she established a shrine of Zeus under an oak that was growing there; for it was reasonable that, as she had been a handmaid of the temple of Zeus at Thebes, she would remember that temple in the land to which she had come. 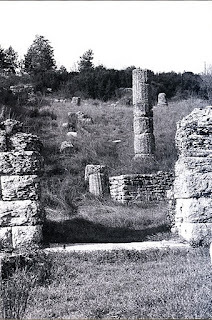 After this, as soon as she understood the Greek language, she taught divination; and she said that her sister had been sold in Libya by the same Phoenicians who sold her." 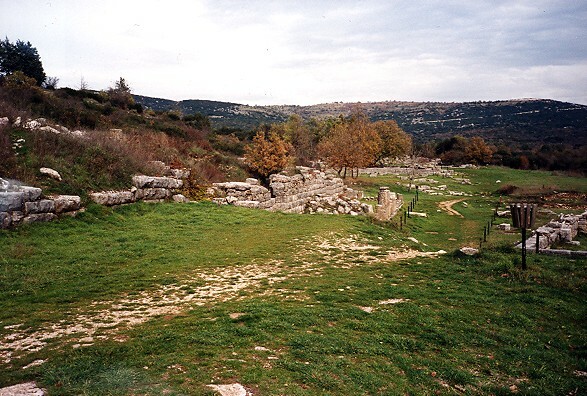 "I expect that these women were called 'doves' by the people of Dodona because they spoke a strange language, and the people thought it like the cries of birds; then the woman spoke what they could understand, and that is why they say that the dove uttered human speech; as long as she spoke in a foreign tongue, they thought her voice was like the voice of a bird. For how could a dove utter the speech of men? The tale that the dove was black signifies that the woman was Egyptian." View of the temenos and the sacred oak at Dodona, with Mount Tomaros in the background.